It’s fitting that the inaugural post for the China Urban Development Blog takes place just a week after it was announced that China passed Japan to become the world’s second-largest economy. What China has been able to do in such a relatively short time period is a testament to the organizational structure of the top-down political regime. Even during a global recession, China steadily kept its factories humming and cities under construction. Events like the 2008 Beijing Olympic Games and this year’s World Exposition in Shanghai showed the world that China is serious about joining the global community. The country is wide open to foreign enterprises and investment, and expatriates from all over now live within its borders. Yet behind the bombastic coming out parties and stunning economic growth are the ambitions of 1.3 billion Chinese citizens. Since China first implemented ‘reform and opening’ in the late 1970’s, hundreds of thousands of Chinese migrant workers have made the move from countryside village into urban areas to work in factories and help build cities. China’s rapid urbanization would not be possible without its unique combination of command and control economy and large pool of workers looking to improve their life. Urbanization has achieved the dual goal of rising China’s overall GDP as well as improving the standard of living for millions of its people. Despite these accomplishments, the country has a long way to go. Per capita income sits at about $3,600 USD – very low by developed world standards. 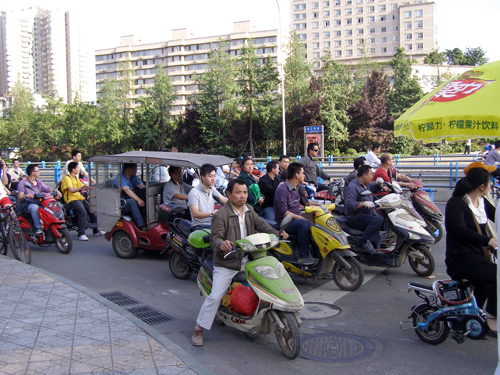 Furthermore, problems still abound in many parts of China particularly the interior areas. Ethnic tensions run high in the western autonomous regions of Tibet and Xinjiang. Poor rural areas are prone to natural disasters. Just two weeks ago, Zhoqu County in Gansu Province experienced a devastating landslide, killing over 1,000 people. China has already shown the world that it can get things done. The next step will be it to continue the momentum by developing the interior urban areas and further improving the life of its people. Leading the way towards this goal are China’s cities – where opportunities abound for those seeking a better life.